Last Tuesday evening I was pleased to attend the launch event of new employee network at Edinburgh Napier University for LGBT+ colleagues and their supporters. The establishment of the network results from the University’s collaboration with Stonewall, the LGBT charity. Research conducted by Stonewall has demonstrated that such networks can play a vital role in supporting LGBT+ colleagues (whether or not that are out at work), and can help drive positive change in the workplace. The launch event gave participants the chance to catch up with colleagues, make suggestions for the future of the network, and hear about the work of Stonewall from Programme Officer Sarah Chidlow. Professor Brian Webster-Henderson and Wendy Tubi also made short speeches to welcome everyone to the network and encourage all to consider how they would like to see it develop. These activities were fuelled by a fine range of food and drink, as illustrated below. For more photographs, please see the review Talking rainbows #LGBTNapier on the Bright Red Triangle web site. 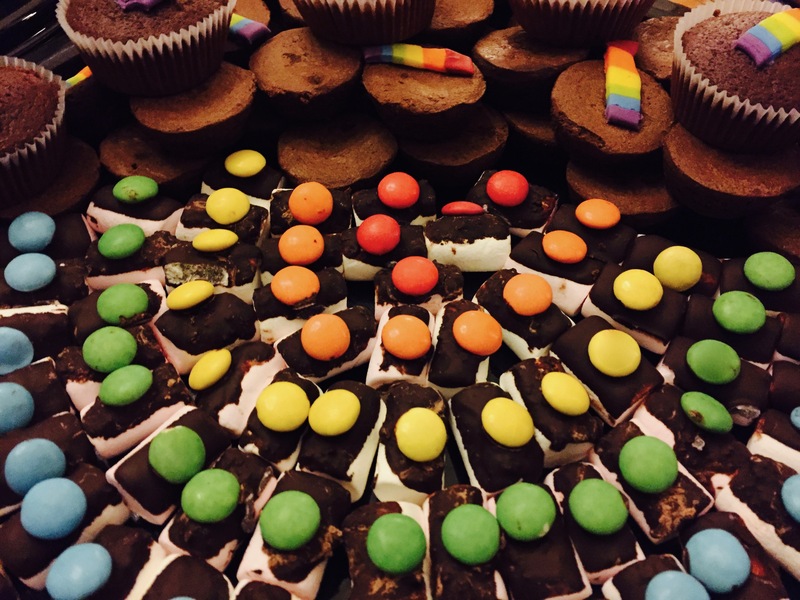 This entry was posted in Events and tagged #LGBTNapier, Brian Webster-Henderson, diversity, Edinburgh Napier University, equality, launch, LGBT, network, Sarah Chidlow, Stonewall, Wendy Tubi by Hazel Hall. Bookmark the permalink.